At the beginning of each year, WEP will present the “Photographer of the Year Award”, which will be based on criteria such as technical, artistic and/or emotional quality of the photographer’s work, their experience and merits at WEP, their participation in contests and their active participation within the association, as well as having won awards from other associations of professional photographers. It is an essential prerequisite to be a member of World Elite Photographers (hereinafter WEP) in order to be able to participate. You may submit up to 3 images free of charge, they must be in JPG / JPEG format, 8 bits, 1500pixels on the longest side, 72 dpi and with a maximum file size of 500 KB. The colour space must be RGB or sRGB. The images should not contain any names, brands or logos that identify the photographer. Name the files with the photographer’s name associated to WEP followed by a hyphen and a number; for example, Martin_Shay_01. Our team of photographers from WEP will choose an indeterminate number of winning photos from each contest, depending on the number of participants, the number of images sent, the quality, creativity and originality and above all the technical, creative or emotional quality of the images, WEP reserves the right to reject images that do not meet these conditions. 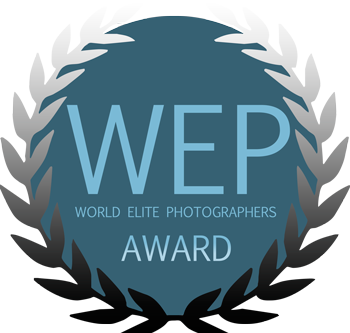 World Elite Photographers awards a silver distinction for each photograph obtaining a WEP award; these distinctions are the sign of a great photographic level and the maximum expression as a professional photographer. 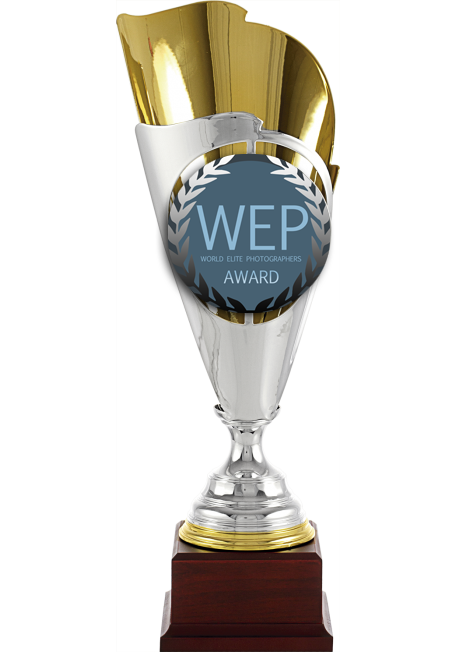 The photographer winning more than one WEP award, will obtain a golden distinction, both awards are sent by mail to the winners. 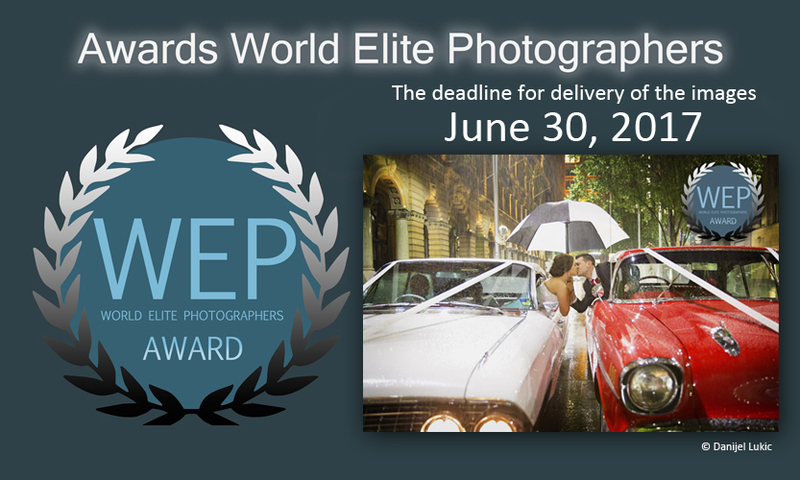 World Elite Photographers grants a diploma to each photographer winning a WEP award with the participant’s information and the winning photograph. WEP reserves the right to use photographs for their own advertising and promotion purposes, the author always being mentioned and the preservation of the rights of the image. WEP has the right to publish a book with the winning photographs from each edition. Participants, for the sake of this contest, unconditionally and fully accept these rules and the judgement of the jurors to resolve any issues arising from the interpretation and application of these rules. These are the conditions for participation in the awards and we take this opportunity to thank you for your confidence that will meet your expectations, we welcome your suggestions with the aim of improving. For questions or suggestions, please contact our service team in support@worldelitephotographers.com. Please give us the opportunity to respond, if once something went not optimal. If you are satisfied with job WEP, we would appreciate a positive rating. 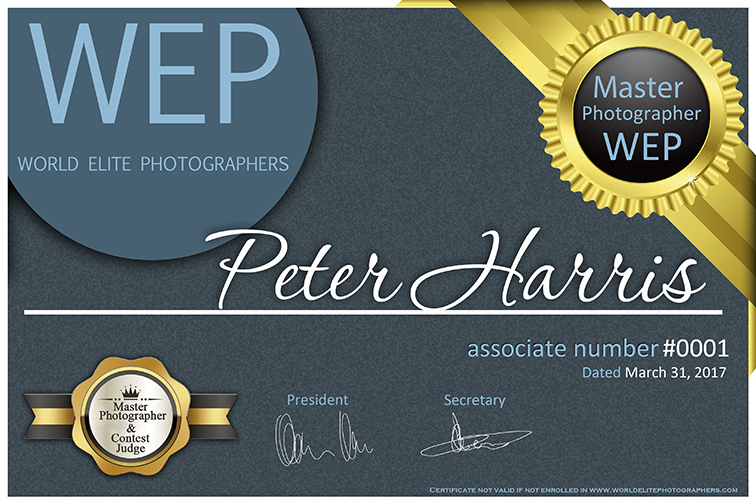 A WEP Photographer will be awarded the title of “Distinguished Photographer” after gaining 8 Merits. Besides the certificate accrediting this, they will enjoy better positioning and greatervisibility on the website, as well as being included in a specific gallery for this category. A Distinguished Photographer will be awarded the title of “Excellent Photographer” after gaining 15 Merits. Besides the certificate accrediting this, they will enjoy better positioning and greater visibility on the website, as well as being included in a specific gallery for this category. They will also be able to participate as a jury member for contests at the request of WEP. An Excellent Photographer will be awarded the title of “Master Photographer” after gaining 25 Merits.Besides the certificate accrediting this, they will enjoy better positioning and greater visibility on the website, as well as being included in a specific gallery for this category. A Master Photographer will be awarded the title of “Master Photographer & Contest Judge” after gaining 30 Merits. Besides the certificate accrediting this, they will enjoy better positioning and greater visibility on the website, as well as being included in a specific gallery for this category. The photographer for this category will become a free life member of WEP and will also be able to give their vote allowing new members to join. World Elite Photographers is making improvements, gaining visibility and relevance, and making lots ofheadway. The upgraded website will be going live soon, providing you with a space to manage your public and private profile whenever you like and also to exchange photos, details or texts. What’s more, awards given by other associations will be recognised, which combined with WEP awards will mean that you can vie for the titles of “Distinguished Photographer”, “Excellent Photographer”, “Master Photographer” or “Master Photographer & Contest Judge”. That’s why we would like you to fill out this form, attaching a photo of yourself, six images to display on your new profile, your business details, a text defining you and your work, etc. You have until 10 March 2017 20 March 2017 to send back the form. As you will know, we’re working hard to make WEP the global benchmark for the best photographers and we’d like to ask for your help, we will be implementing some photographer categories based on “merits” which all members, just by being in WEP, are already eligible for. Tell us about your awards or honours and the organisation that issued them in order to add them to your profile. After being verified and according to your score, you’ll be given one of the following WEP titles and privileges. 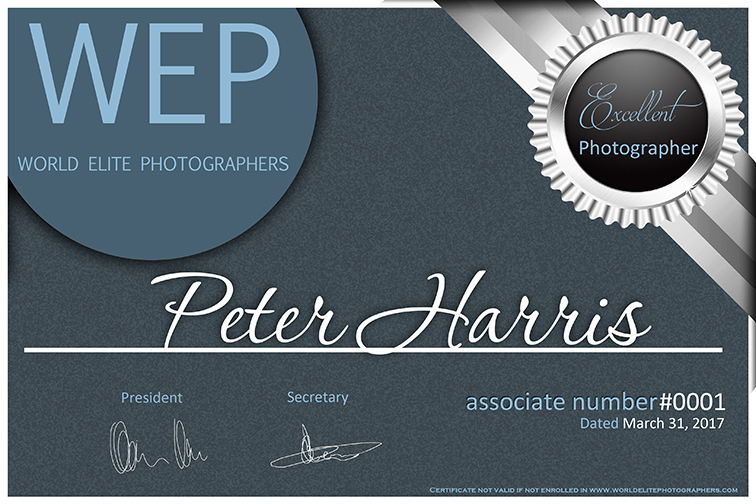 They are recognitions given to each photographer and which are used to gain titles and privileges at WEP. How do you gain them? c – Have sent photos and details using the website form and been approved by WEP. 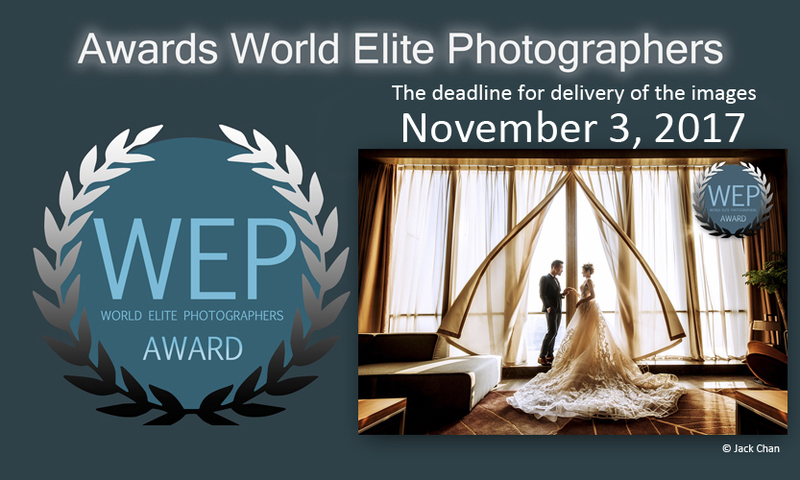 Once a year and without coinciding with other contests or awards, WEP will hold the Best Wedding Album contest. The winner of this contest will be given a diploma and awarded 3 Merits. Thanks for belonging to this project, we will work for you and offer you tools that strengthen the image of the great photographer.